The elegant city hotel sits in the enchanting centre of Vienna. Visitors may take in the legacy of the Art Nouveau era and discover famous sights in the vicinity, such as the Ringstrasse, the State Opera House, the Belvedere that holds "TheKiss" by Gustav Klimt, Vienna city park and the Vienna Secession. This elegant property combines comfortable surroundings with a unique Art Nouveau character. Guests may totally relax in a Superior or Deluxe rooms. Each of them is magnificently decorated to offer comfortable surroundings where to recharge one's batteries after a busy day out in the city. 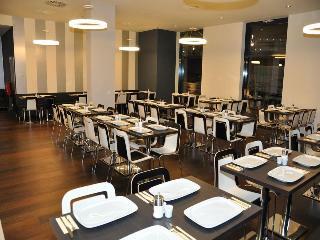 The glamorous restaurant awaits patrons with exquisite Austrian and international cuisines. The elegant bar is a perfect place to enjoy a cup of coffee and a relaxed chat with friends. 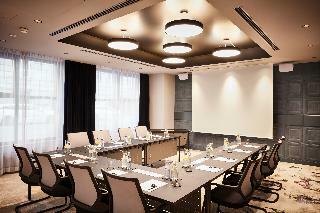 Corporate guests may take advantage of a well-equipped business corner and meeting facilities. Opened in autumn 2015, Grand Ferdinand is directly located on the Ringstraße boulevard in the centre of Vienna and offers a rooftop pool, 3 restaurants, and free WiFi access. The City Park and the Vienna State Opera are within a 5-minute walk. The modern rooms feature air conditioning, a flat-screen TV, a safe, a minibar, wooden floors, and a bathroom. Guests of Grand Ferdinand benefit from a fitness centre, a 24-hour reception, and a gift shop. This elegant hotel is beautifully located in Vienna's 15th district. The hotel is located just a 5 minutes' underground ride from the Schonbrunn Palace. The Westbahnhof Railway Station and the Langenfeld Underground Station can be found just a short distance away. The Mariahilferstrasse shopping street is in close proximity to the hotel. A number of shopping, dining and entertainment venues can be found close by. Many of the city's most prominent attractions are within easy reach of this hotel. This hotel features stunningly-designed guest rooms, which offer comfort, style and elegance. The hotel affords visitors an endless choice of first-class facilities and services. 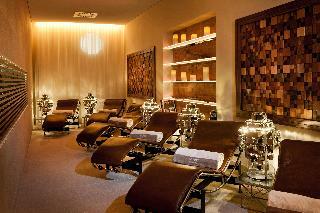 This luxurious hotel boasts an idyllic setting in Vienna. The hotel is situated in the mesmerising Baroque Cavriani Palace, in the historical centre of the city. 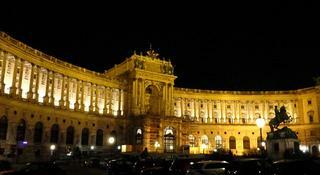 The hotel is conveniently located just 100 metres away from the Graben shopping street and Hofburg Palace. A treasure trove of attractions can be found nearby. Guests will find themselves just a short distance away from St. Stephen's Cathedral, the Stephansplatz Underground Station, Karntner Strasse shopping street and Ringstrasse Boulevard. This upscale hotel tempts visitors into a world of luxury and regal elegance. The guest rooms are elegantly designed, oozing character and charm. Guests can enjoy a rich Viennese buffet breakfast in the mornings, before setting off to explore this captivating city. Thomas WACKER, the General Manager of the ibis Wien Hauptbahnhof hotel, wishes you a warm welcome. 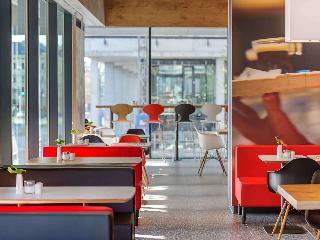 The ibis Wien Hauptbahnhof hotel proves that successful interior design can encourage communication: Welcoming furniture, stimulating colors and sophisticated rooms create a relaxed atmosphere in which guests can easily start up conversations with each other and interact with the team. No matter where you go in the modern city of Vienna, you will find it hard not to be impressed. This luxurious hotel boasts a stunning setting, lying close to the city park at the heart of Vienna. The hotel is located just a few minutes' walking distance away from St. Stephen's Cathedral, the Staatsoper, Kärntner Street, the Ringstraße, the Stock Exchange and numerous shopping avenues. This wonderful hotel lies just 100 metres away from the nearest underground stations. 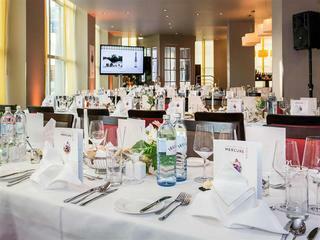 This charming conference hotel is hailed as the largest in Austria. The hotel welcomes guests into a world of elegance and sophistication. The guest rooms are superbly designed, featuring functional space and a relaxing ambience in which to work and rest in comfort. Whether guests are travelling for business or pleasure, this wonderful hotel is sure to impress.As a part of our continued commitment to enhance our property and services, Hilton Vienna is re-designing and extending its guest rooms as of January 2019. During the renovation there is no visible impact in the guest-areas, the hotel is fully operational and we trust our guests will not be disturbed. The refurbishment will be on floor by floor basis and at minimum interference to guests. 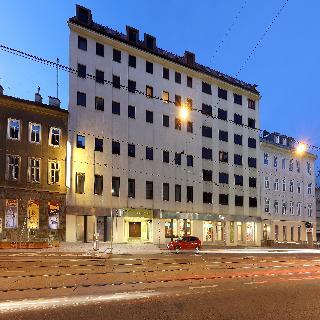 This attractive city hotel lies directly opposite Westbahnhof. Within a 10-min walk, guests will reach Mariahilferstrasse, one of the largest shopping streets in Vienna. Links to the public transport network can easily be reached on foot, lying just 100 m from the hotel. This hotel is spread over 8 floors and comprises 252 rooms. A restaurant with a non-smoking area and lifts are also included in the hotel's facilities. Those arriving by car may take advantage of the hotel garage facilities.The stylishly decorated rooms come with an en suite bathroom with hairdryer. Available for guests to us there is a direct dial telephone, satellite TV and Internet connection. All rooms are equipped with a minibar and hire safe as standard. The Grand Hotel Wien is on of the mosrt modern and luxurious hotels in Europe. The 205 luxurious and technically state-of-the-art rooms and suites guarantee comfort and well-being due to luxury furniture, elegant design and most modern technical equipment. Even the expectations of the most demanding guests are met. 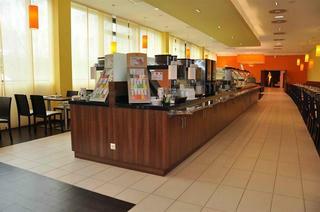 Guests can enjoy culinary delights in four restaurants and two bars. Highlights are the traditional Japanese restaurant 'Unkai' and the restaurant 'Le Ciel by Toni Mörwald', both decorated with numerous awards. 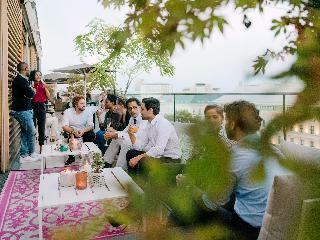 The rooftop terrace has a particularly nice ambience in the summer with an amazing view over the rooftops of Vienna. On the ground floor you will find Unkai Sushi - a Sushi Bar that invites guests to enjoy excellent Sushi in a casual and relaxing atmosphere. Located in the heart of Vienna, in the old town protected as a UNESCO world heritage site and only a stone's throw from the Hofburg Imperial Palace, this hotel is the ideal starting point for excursions of all kinds. Cultural monuments such as the Gothic St. Stephen's Cathedral or shopping paradises as the famous Kohlmarkt shopping centre are within walking distance. The Herrengasse metro station is just 50 m from the design hotel. The city of Vienna is the capital of Austria; it lies in central Europe on the banks of the Danube. The city is situated in the valley of the Green Forests, at the feet of the first Alpine slopes. Vienna is the biggest city in the country as well as its cultural, economic and political centre. The city is full of magnificent Baroque mansions and enchanting summer palaces, everywhere you look you will see buildings that hold important historical, cultural and architectural value; Belvedere Palace and the home of Sigmund Freud stand out as particular examples. At the same time the city also has an extensive collection of churches and cathedrals, we recommend a visit to St Stephen’s cathedral (Stephansdom) and the Augustinerkirche Gothic church among others. Vienna is full of squares and historical districts, such as the Jewish Quarter and Imperial Vienna, located in the centre of the ring formed by Ringstrasse and the Museum District. The city also has a reputation for having a vibrant nightlife, with a diverse variety of bars, restaurants, discos and live shows. Discover this important European capital; visit Vienna!